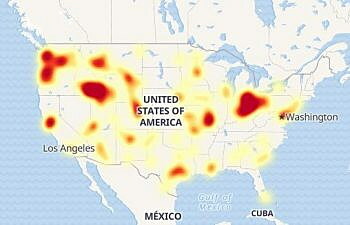 An outage tracking website shows the extent of CenturyLink’s outage on Thursday afternoon. If you tried calling a city of Missoula office number on Thursday and couldn’t get through, just know it wasn’t you. CenturyLink on Thursday experienced a widespread outage across much of the U.S., with the Pacific Northwest and Rocky Mountain interior among the areas hardest hit. CenturyLink had yet to say how large the outage was or what caused it. It acknowledged the outage on Facebook at 11 a.m., though the network was down several hours before that. The outage prompted the city’s office phones and Internet to stop working. Outside calls were dropped and didn’t ring through. The county was also impacted. An outage tracking website showed a loss of service in the Pacific Northwest, western Montana, the central Rockies, the upper Midwest and Washington, D.C., among others areas. Adriane Beck, director of Disaster and Emergency Services at Missoula County, said the 911 system was functioning, though 911 dispatchers were unable to return calls to customers.